What would have happened if in, say, 1975 a band decided to marry the musical complexity of Yes and Emerson, Lake & Palmer with the heaviness of Black Sabbath and Judas Priest? 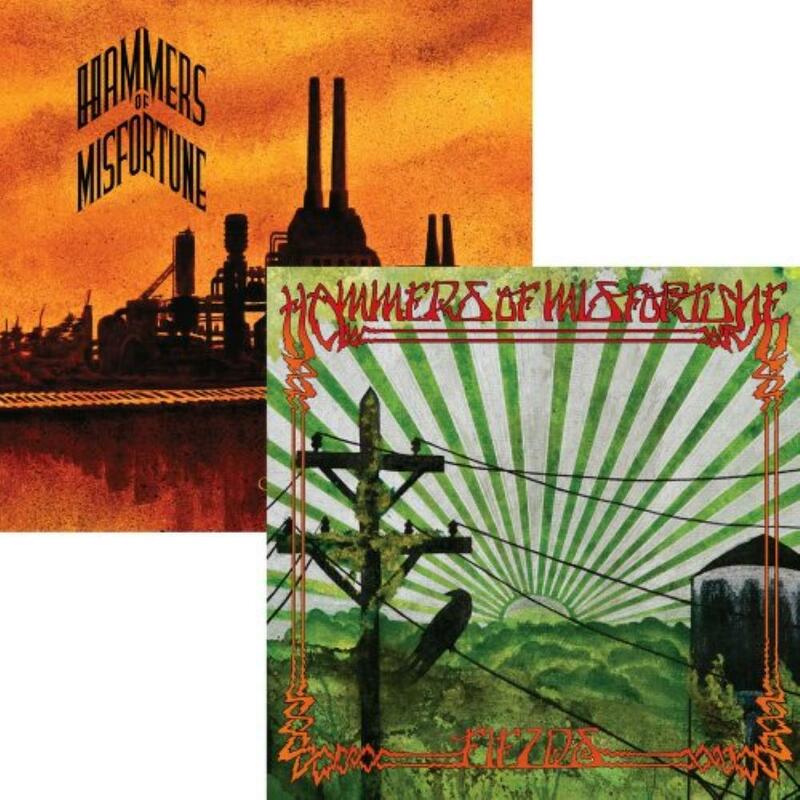 The result may have sounded very much like this double album offering by Hammers of Misfortune. Knowing nothing about the band previously, my eye caught sight of the cover for Church of Broken Glass while sampling prog bands on Amazon. I gave the song samples the usual quick once over to see if anything caught my interest and it certainly did. There are many points worthy of praise here but also a few criticisms as well. Let's consider the strengths first. 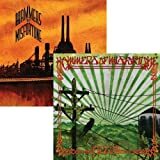 This double album of two short (about 35 minutes each) albums is packed with the kind of intricate and complex music you'd expect from a symphonic prog band but with the heaviness of a progressive metal band that puts an organ up front. A big nod goes to multi- instrumentalist Sigrid Sheie whose organ and piano work is heavy and serious. She has classical training and plays flute as well but also has punk experience. (There's an interesting interview with her at canadaartsconnect.com). Sigrid also contributes backing vocals. The guitar is heavy and driving but with a lot of interesting riffs and passages. This is not your typical muted-string duh-duh-duh metal. It's more like Iron Maiden but with the heavier sound of a talented 80's speed metal band. The rhythm section holds its own, and while the bass doesn't stand out in particular, the drum work is appreciatively busy without being overdone. The style of the music ranges from complex speed metal to slow stoner metal but always accented by that Hammond B3. There are more delicate moments too with acoustic guitar and some beautiful piano work. Musically speaking, this is a well-balanced album that defines its parameters in a comfortably broad scale without straying into "that doesn't suit the album" territory. Any classical passage or even the eastern sounds in parts of "Too Soon" don't sound out of place at all. Songs range in length from the straightforward 4:02 heavy rock of "Train" from "Church..." to the 10:19 of "Butchertown" from the same disk. There are perhaps three strikes against the album. The first depends on how you like your modern prog to sound with respect to recording quality. Both disks capture the more unpolished sounds of an 80's metal band that didn't have major label backing or the slightly garage-like sound of some 70's recordings such as what I have heard on, say, Atomic Rooster albums. If you like this sound or if you can forget that we're talking about an album from 2008 then it's not an issue but a plus. As the band seems inclined to capture a heavy 70's atmosphere then maybe a more polished sound like that on Dream Theater, Fates Warning, or Threshold albums wouldn't work. Personally I have mixed feelings about the sound. I like it but maybe a bit cleaner would be better? My second gripe is that some of the best songs have choruses that just repeat and repeat as the song makes a long journey to the end. "Butchertown" appealed to me because of its "Black Sabbath" (song) approach with slow, doomy and heavy chords combined with lighter acoustic parts. But the chorus repeats over and over while the music slowly climbs toward a promised climax that never really reaches release. "Motorcade" and "Rats Assembly" also have this though not as long as "Butchertown". Finally, I have to say that the biggest disappointment is the vocal department. With male and female lead vocalists (Patrick Goodwin and Jesse Quattro) and Sigrid on backing vocals (plus an uncredited male backing vocalist) there are wonderful opportunities to combine male voices ("Motorcade"), female voices ("Rats Assembly"), and male and female voices, as well as solo vocal parts. Sadly, the production of the vocals is weak. They are treated more like a rhythm instrument than the voices of the songs. The lyrics are at times difficult to make out and the voices just another sound in the music. Additionally, neither lead vocalist comes across as particularly remarkable, though perhaps this has something to do with the production or mixing again. It seems Jesse Quattro is capable of maintaining a solo career, so maybe there's talent to speak of. Overall the album could score five stars for the musical effort but loses on the vocals and on recording quality in general. I recommend fans of heavier symphonic prog and experimental metal to check this one out. Four stars but considered giving it three. 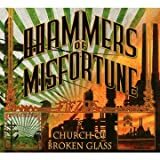 Post a review of HAMMERS OF MISFORTUNE "Fields / Church Of Broken Glass"